Whether you’re a sport diver, instructor, club, or dive business, we believe our dive equipment policy provides simply superior quality and great value scuba diving equipment insurance to protect your investment. 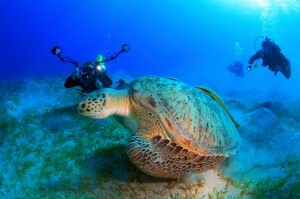 Our insurance has been protecting Divers for over 30 years and pays losses back to divers and the dive trade. Your dive kit insurance policy provides annual worldwide cover for all diving equipment. The equipment is covered whilst in storage, transit and use, for accidental loss (including emergency jettison), damage and theft. Underwater camera equipment is available as an ’add on’ to your scuba diving equipment insurance policy. The cover is on the same conditions as dive equipment insurance and because we understand the issues of underwater photography, it includes cover for unexplained flooding. Underwater camera equipment is rated at 7.5% of the replacement value. Standard policy excess is £35, coverage subject to policy terms, conditions and exclusions. • Your competing quote must provide cover on an equivalent basis to include but not limited to : coverage worldwide 365 days of the year, cover for unexplained flooding and cover on a new for old basis.